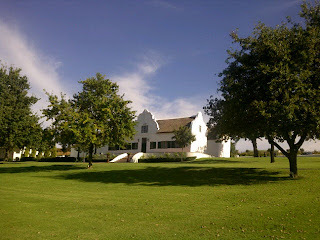 This was the last wine estate I visited today on Annandale Rd. It has lovely views, lovely wine and is a nice place. 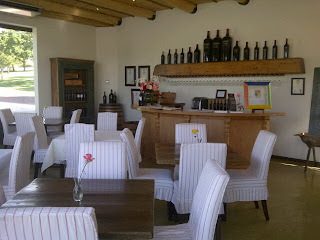 I visited this place for a tasting because I had recently been here for a wedding. It was amazing how different it looked when a wedding was taking place here. 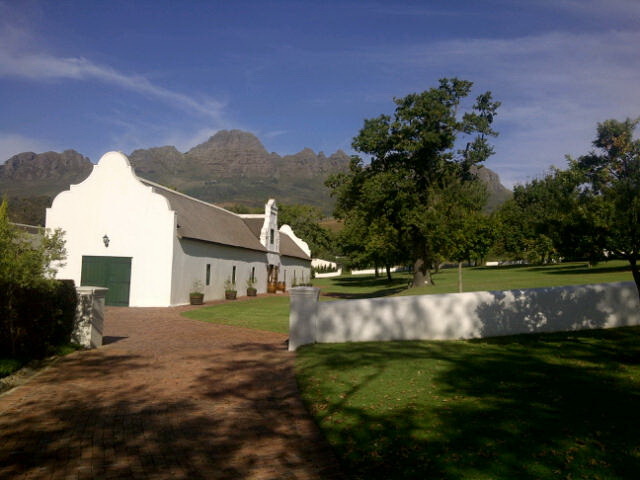 It really is a nice place to have a wedding. 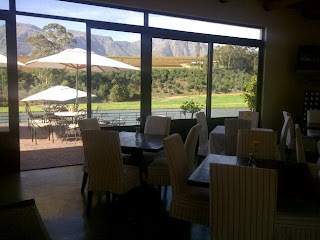 Great views, service, nice wine, good food. I was welcomed by a very nice lady called Kaley. She was very polite, friendly and engaged in polite conversation. 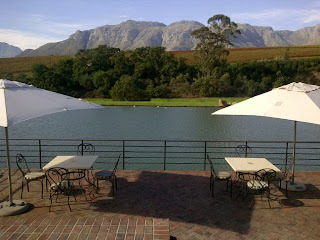 I sat outside for the tasting so I could enjoy the fantastic weather and lovely views. 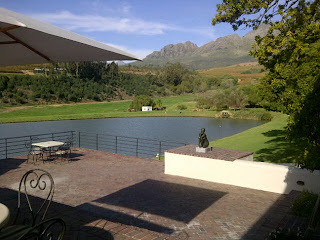 From the tasting room I could see a family enjoy fishing at the pond with a picnic. What a way to spend the day. The weather was perfect for it. The tasting started off with the Brut MCC 2008 at R130 a bottle. This was very nice!! It is 55% Chardonnay, 39% Pinot Noir and 6% Pinot Meunier. It spent +- 36 months on the lees. It was very easy drinking; not dry and not sweet. Just perfect!! It had a lovely finish. It was refreshing. I really liked it!! Next I tried the Brut Rose 2008 at R130 a bottle. This was nice also, but I actually prefered the Brut. Interesting, because at the wedding I prefered the Rose MCC. The Rose is 63% Pinotage, 29% Pinot Noir and 8% Pinot Meunier. It spent +-12 months on the lees. This MCC seemed dryer than the Brut on the first sip, but after that it was also pleasant to drink. The Sauvignon Blanc 2012 at R95 really impressed me!! It has an awesome nose on it, just gorgeous!! Plenty of tropical fruity smells, lots of passionfruit. It was smooth, soft and light on the palate. Not too acidic, it had lovely citrus and tropical fruity flavours on the palate. It had a lingering finish with some mierality. Just lovely! To be honest, I struggle to spend this much on a Sauvignon Blanc, but I will not forget how much I enjoyed this wine!! It is one of the best Sauvignon Blancs I have tried in South Africa!! 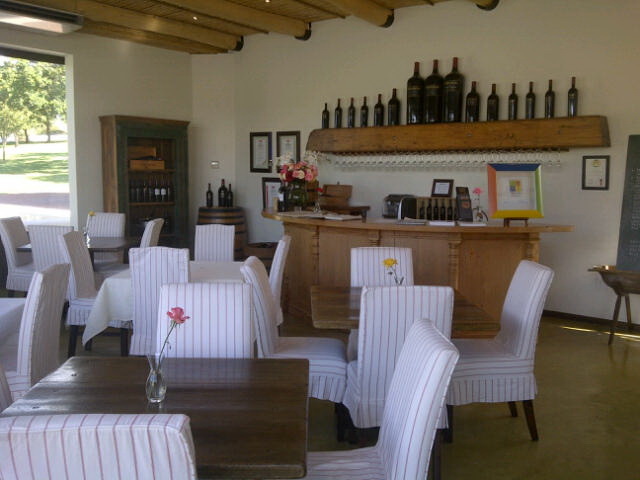 I finished the wine tasting with the Cabernet Sauvignon 2007 at R120 a bottle. The colour was more a brick coloured red. To be honest, I didn't really like this wine. Slight caramel tones. Nice nose. It lacks something though. It had a slightly dry aftertaste. It was ok.
A tasting here costs R15 per wine you try. I think this is a bit steep. 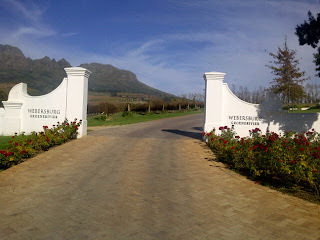 Having said that, if money is not an issue, I would highly recommend visiting Webersburg for a tasting of the their MCC and Sauvignon Blanc. Not only that, but the setting is just beautiful. They have lovely grounds, beautiful old Dutch style buildings and a lovely pond. I do recommend one visits this estate. Be sure to bring a picnic to enjoy after your wine tasting. 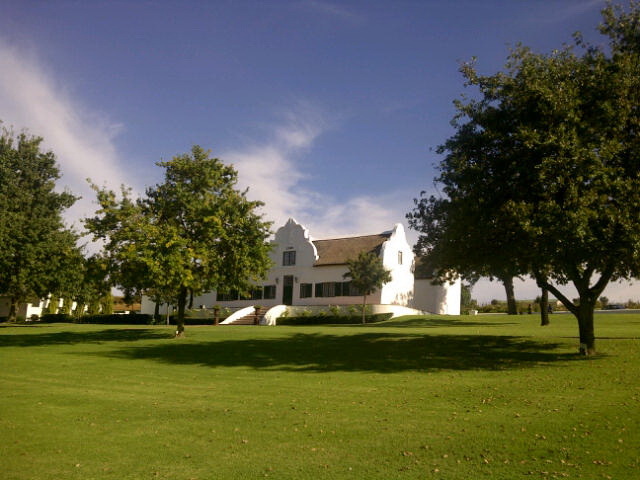 Or better still, buy some wine from the tasting room to enjoy with your picnic beside the pond or under the trees on the lawn.